HollyShort's Film Premiere of Morgan Pickett's Charge - Zorya Films, LLC. The premiere of Morgan Pickett’s Charge at HollyShorts was a success! At the 11th annual HollyShort film festival Christopher Chapman and Zorya Films was proud to be selected and premiere their film at this festival. The turnout to the premiere was a success! 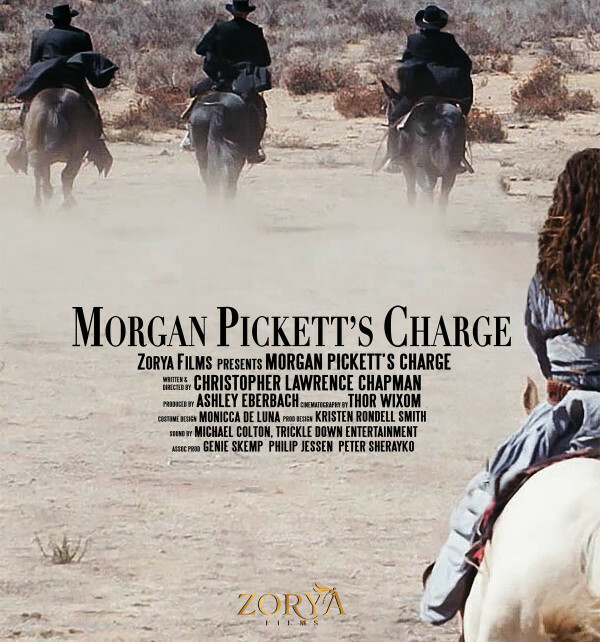 Zorya films also released the movie poster for Morgan Pickett’s Charge! The whole crew and part of the cast was also in attendance! Check out the Trailer for the film here. If you haven’t already take a look at the behind the scenes and the making of Morgan Pickett’s Charge here.